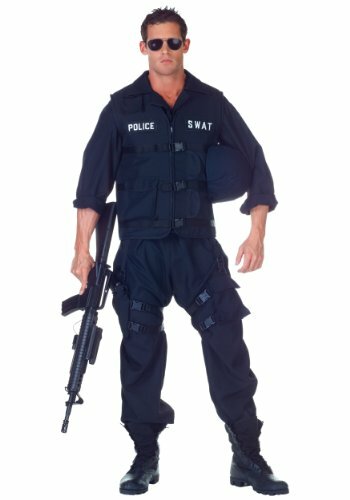 Monthly Swat Costumes For Men Deals. Halloween Store. Incredible selection of Halloween Costumes, Halloween Decorations and more! 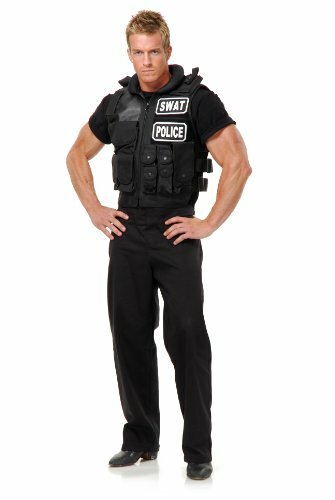 This maximum security SWAT Officer Costume Vest is perfect for reenactments, plays, costume parties, and any other dress up occasion. 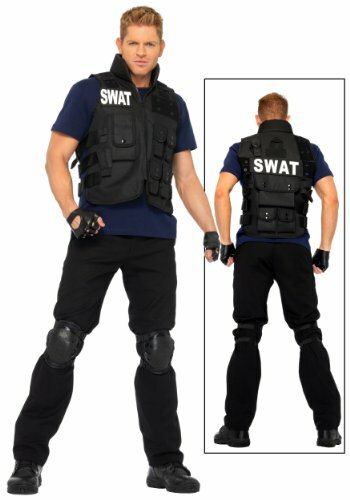 Breach and enter this year's party with a law enforcement costume that will have perpetrators running for the exits. 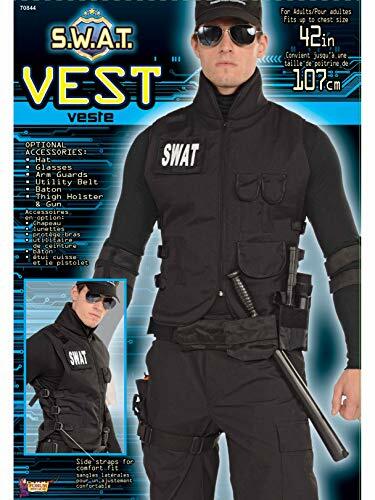 Show tactical precision and retrieve the SWAT Men's Vest. 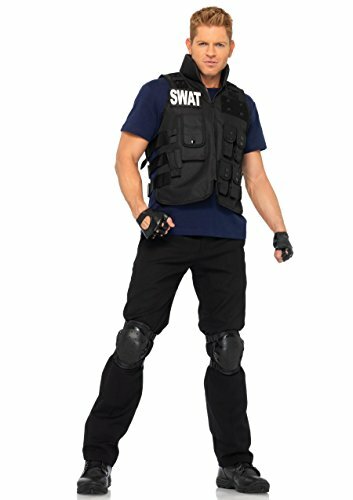 This black and white apparel is designed to look like a real SWAT uniform affording you the authority to bark commands for the sake of everyones safety. 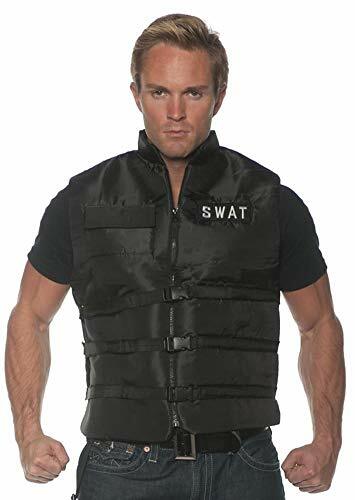 The vest features the words SWAT emblazoned across the chest ensuring there wont be any confusion just whos in charge when you arrive. 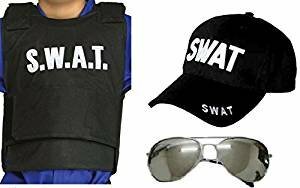 Be prepared for the unexpected by picking up essential police accessories such as a cap, nightstick, and other essentials.